Cincinnati, Ohio The Youngstown State women's soccer team dropped a 3-0 decision to Cincinnati on Sunday afternoon at Gettler Stadium. With the loss, the Penguins fall to 2-6-1 overall while Cincinnati improves to 7-2-1. The Bearcats scored two goals in the first 17 minutess of the first half and another in the 54th minute. 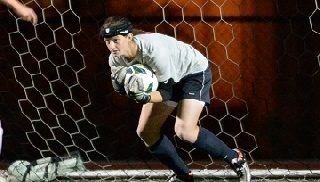 Senior goalkeeper Katie Montgomery recorded 11 saves while facing a total of 26 shots and 14 shots on goal. The Penguins took just two shots and did not have any attempts on goal. Youngstown State returns to Horizon League action when it visits, UIC, Saturday, Sept. 24, at 8 p.m.